Sometimes I find little pouches and bags that are just the cutest things — and very useful! This first one is a small boxy pouch that could be used for makeup, or as the designer says “for those sweets and treats” you’d like to stick in your purse! I’ll go for the sweets and treats!! The tutorial on how to make this little boxy pouch is located on the ThreeBears blog and was designed by Penny. Great pictures as she photos every step of the process. Thanks a bunch Penny! 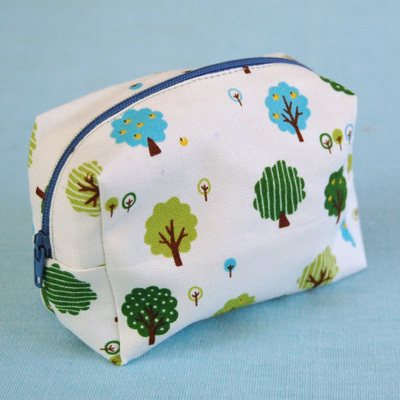 Or try this smaller and flatter pencil case or pouch. This looks like an even easier one to make and could hold the make up or goodies as well. Thanks to LondonMummy for this detailed tutorial. An additional idea is to use up some of your scraps and make this scrap tote bag — you can make it any size you want, from small to large, depending on what you’d like to use it for. 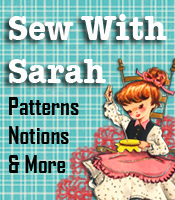 The scrap tote bag comes to us from PatternsThatFitYou, and the free tutorials / classes there. If you have made small bags or pouches or have run across additional tutorials on how to make them, please let us know, so we can pass them along to our readers. These are so cute and would sell at craft shows!